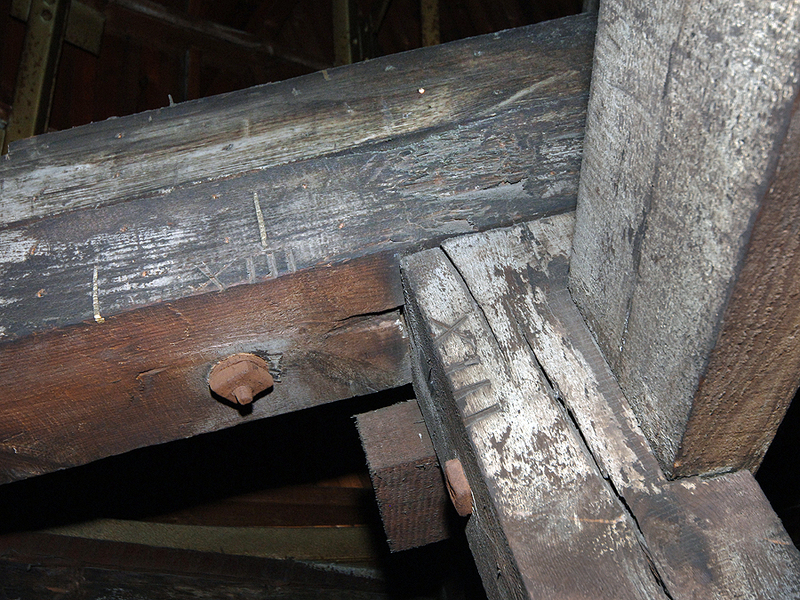 The Belfry is an area that very few members of the Trades House have had the pleasure to visit and it is here that some of the marks of the workmen from the construction of the building can be seen. 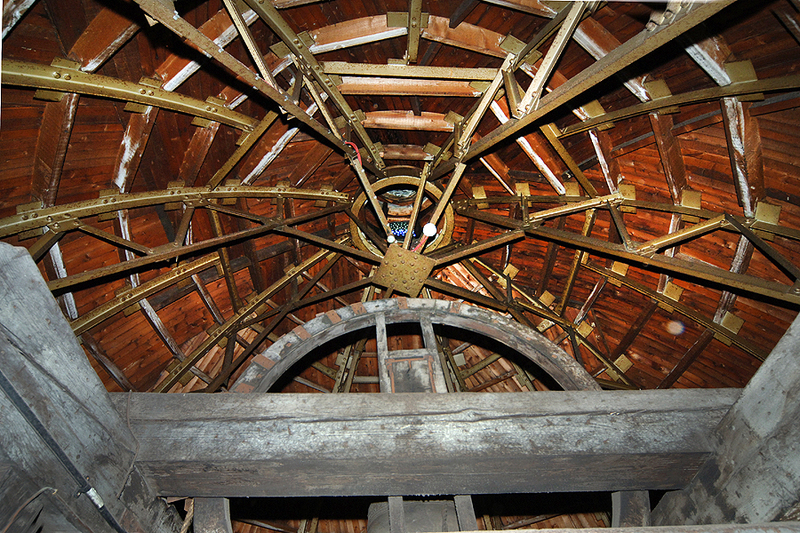 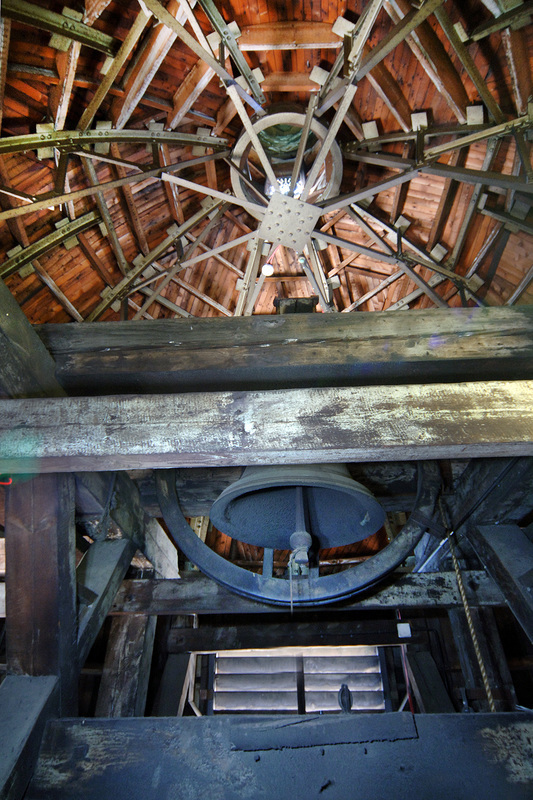 The belfry is constructed from wood and by the markings on the wooden beams etc., it looks as if they were prefabricated to ensure that they would be a good fit and then taken down and transported to Glassford Street for final construction. The photograph left shows the joint markings. 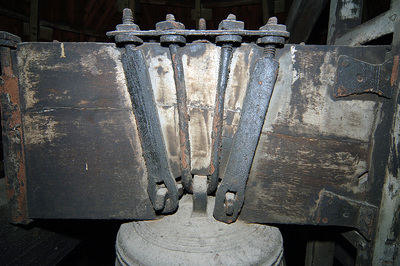 The joint was number XIII (thirteen) and it can give a clue to the sequence of construction of the roof. 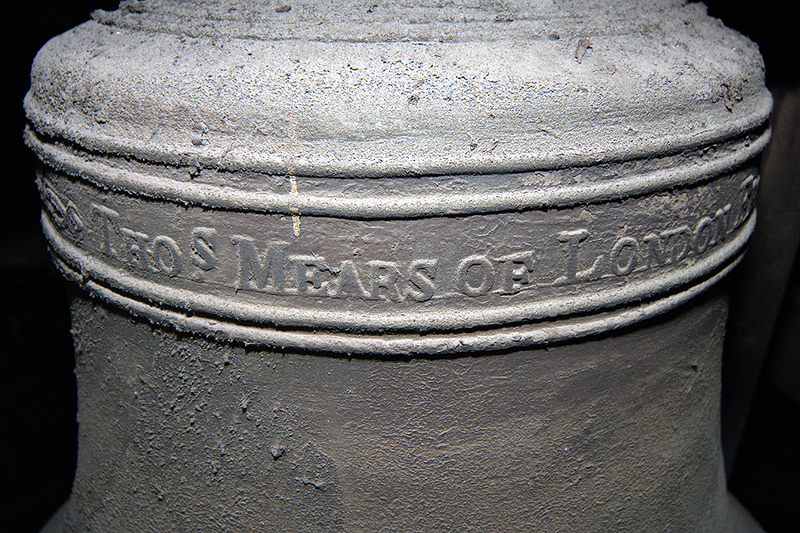 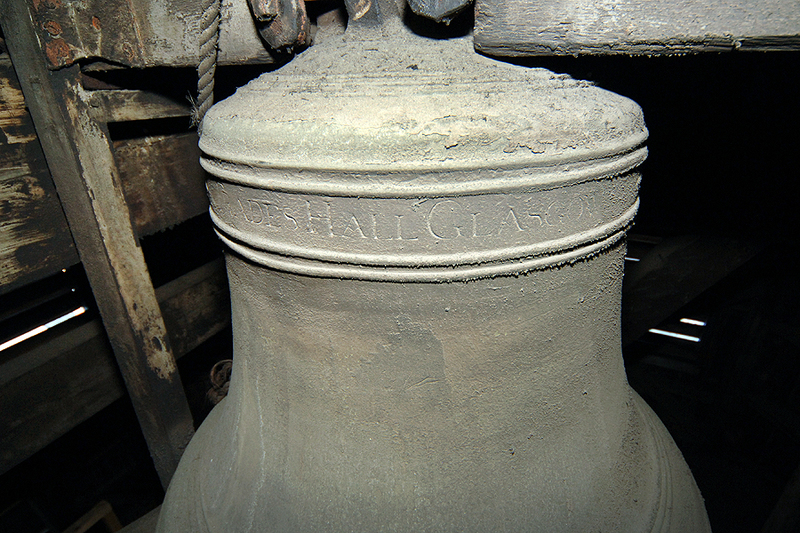 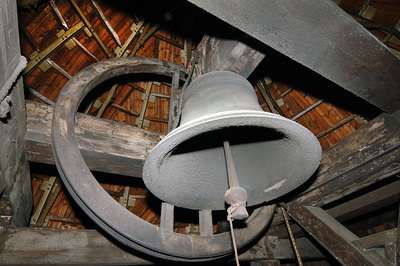 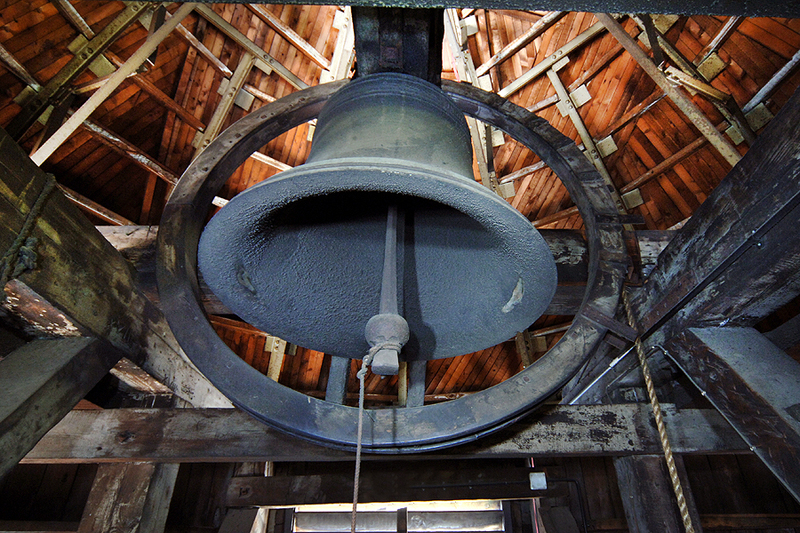 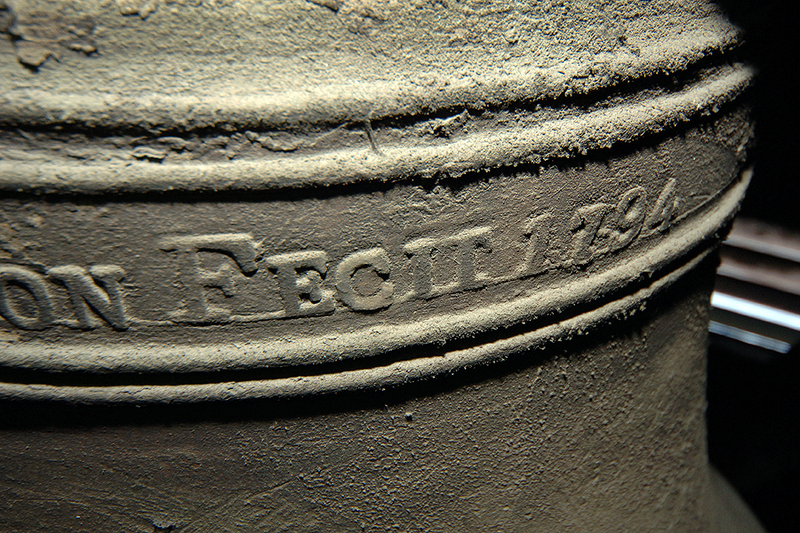 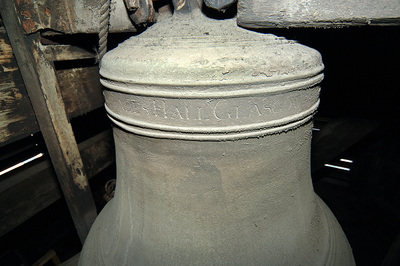 The images below show some of the details in the Belfry.